I’m an environmental consultant. My number used to be C6H6, which was Benzene, but now that there are no more letters in names, I’m 22 for my nephew’s birthday. The idea just came to me, but I was too afraid. Then I saw Brawler joined and I asked to tag along. Hooked ever since. Too Many, really. I can’t pick just one. 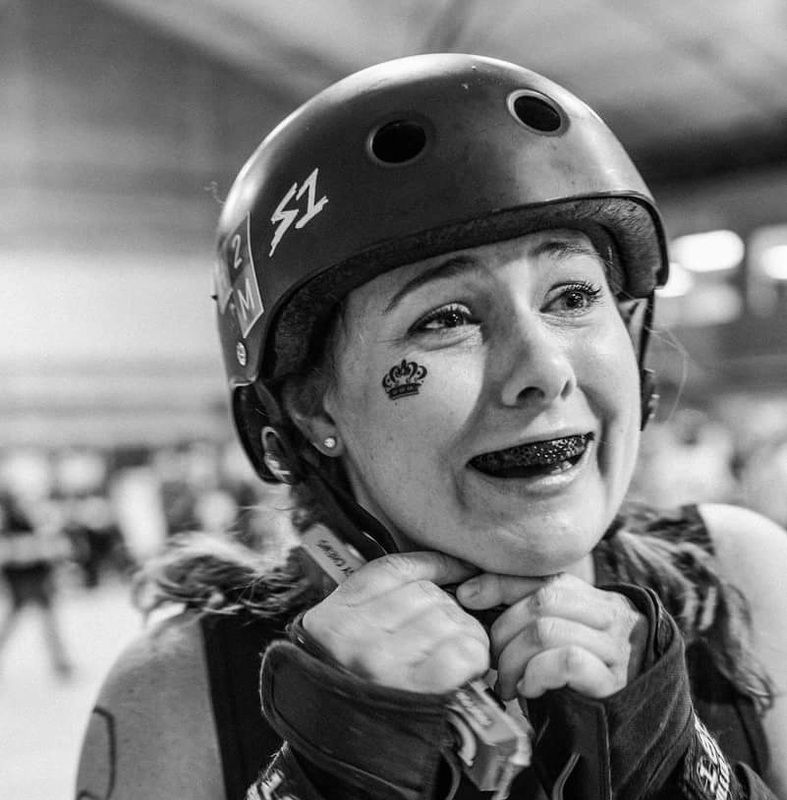 Derby Con and Roller Con, Cali and NOLA, Going to the banked track in Philly. So many fun road trips. I learned everything I know about derby from Doc. Basics! Do not rush the process. Learn how to do the basics, well. 18. When and what occasion was a specific moment you felt like you really had to push yourself even harder? I didn’t make the roster when I thought I should have and I went to every practice and played my heart out. I would have sooner died on that track then give it everything I had.